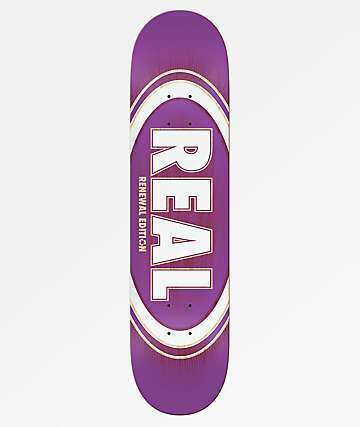 Real Skateboards was originally started out in San Francisco, CA by skateboarding street pioneers Jim Thiebaud and Tommy Guerrero. 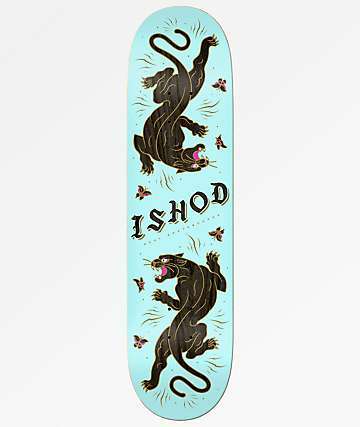 The industry big-wigs at the time didn't want to listen to the skaters' input or advice on anything, including their own board graphics, so Real Skateboards was started out of that simple necessity. With all doors open for suggestions and ideas from the skaters, Real Skateboards quickly became a raw skateboard company with an unrelenting commitment to skateboarding. Over the years, Real Skateboards has released several amazing videos including Kicked Out Of Everywhere, Real To Reel, Roll Forever and Since Day One that have helped to push boundaries of skateboarding farther than most could even begin to comprehend. Today, the Real Skateboards team boasts a line-up of some of the best skaters in the biz, including Peter Ramondetta, Dennis Busenitz, Ernie Torres, Robbie Brockel, Keith Hufnagel, Max Schaaf, Jake Donnely, Chima Fergesun, and rookie-pro Ishod Wair, amongst others. Zumiez is proud to be an authorized retailer of Real Skateboards, carrying a wide selection of Real skateboard decks, Real accessories, and soft goods.